It's Tuesday, so that means tips! It's also almost summer time! I can't believe that Memorial day is this weekend! The school year sure has flown by! That summer reading list is about to arrive, but are you prepared? Here are some tips on how to make the best of your summer reading. Keeping up with summer reading can be one of the most important steps to a successful year in school, so why not make the best of it! 1. Take a trip to your local library. After viewing your list, there may be some books that you already own, or that you're interested in purchasing. Head to the library for all other books. Try to get there early so that you can request holds on the popular ones, if need be. 2. Create a flexible schedule. Have your child pick out the most interesting books and schedule a time frame for completion. Feel free to stray from the schedule at times, but use it as a guide. 3. Log your reads. There is nothing more rewarding than looking back at all the hard work and time spent reading. Create a reward system for books read or time spent reading if your child is having difficulty staying motivated. A picnic lunch at the park or a small toy seem to do the trick for many. 4. If you will be doing a lot of traveling, consider buying or borrowing some audio books. My kids love to listen to books on long rides. I often hook my Kindle up to my car and listen along in the car. If you're willing to listen to the robot voice, you can listen to almost any kindle book! 5. Model, model, model. Don't forget to pack your own books for the beach and show your children how much you enjoy the escape. Scatter books, magazines and newspapers around the house. Discuss current events listed in the newspaper. Show your kids how much you appreciate all the different reading medias. 6. If your kids are older, consider reading the same books and have book discussions/clubs. If your kids are younger, continue to read to them whenever possible!!! What a great way to spend some quality family time!! Stay tuned for more summer reading information!! Looking forward to summer reading with my grandchildren at the beach. Great post! 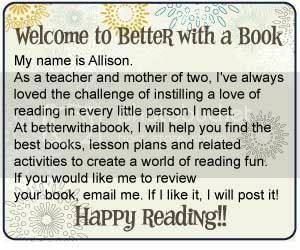 I love this...you made it so simple to get the children reading over the summer! We met last weekend at the #BBCPhilly, it was great to meet you, and hope we can collaborate soon!